By ‘lot’, Boston means our ‘lot in life’, the shape of our lives as they are styled by God’s many providences. By ‘crook’, he means those unforeseen troubles that afflict, unsettle, or disturb us in any way. Boston sets out to minister pastoral wisdom and help to God’s people experiencing what Paul calls ‘the sufferings of this present time’ (Rom. 8:18). The Crook in the Lot is pastoral medicine prepared in the laboratory of Boston’s own personal and ministerial sufferings. It is little wonder that Jonathan Edwards considered Boston ‘a truly great divine’. He was indeed! Over ten years ago, the sudden death of a young friend turned my world completely upside-down. 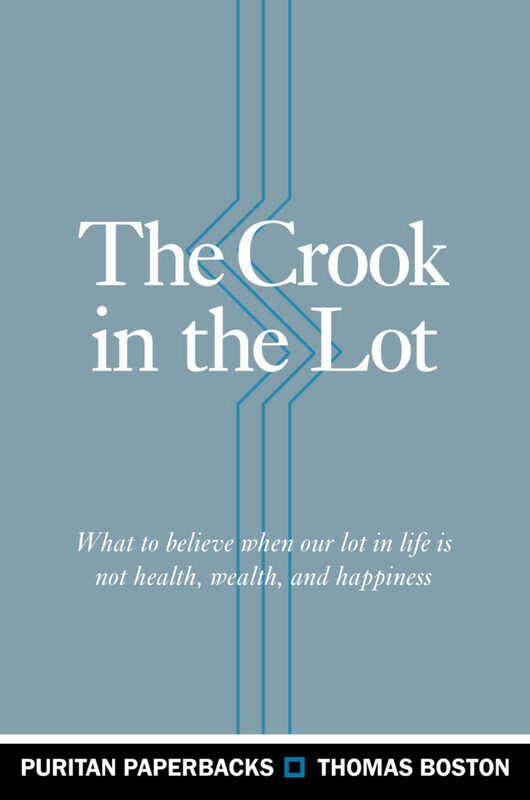 A few weeks later, a dear friend of mine placed Thomas Boston’s “The Crook in the Lot” into my hands. As I read the Spirit was pleased to bring me through something of a personal Copernican revolution. The immense truth and implications of the sovereignty of God in suffering both tore and mended my heart. To this day I point to this work as the one book outside of the Scriptures that has most powerfully influenced my life. Not only on that basis do I commend it to all; I especially hope that your study of its contents might lead you to greater love and trust in the God who makes crooked and makes straight, according to his good pleasure.